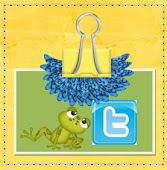 Crochet for the Classroom: Chicka Chicka Boom Boom! Although Moogly Blog uses this tree to store her adorable finger puppets, I have another idea for it. I am planning on putting some bottle caps with letters written on them inside this bottle. I can either put one of each letter in there to encourage the children to put them in order or I can put one capital and one lower-case of each letter for matching or even two of each letter in capital or lower-case for simpler matching. There are many possibilities! Crochet for the Classroom: Ice Cream! The child then states how many scoops he or she would like and you count out that number of pom poms into his or her dish. Hello! 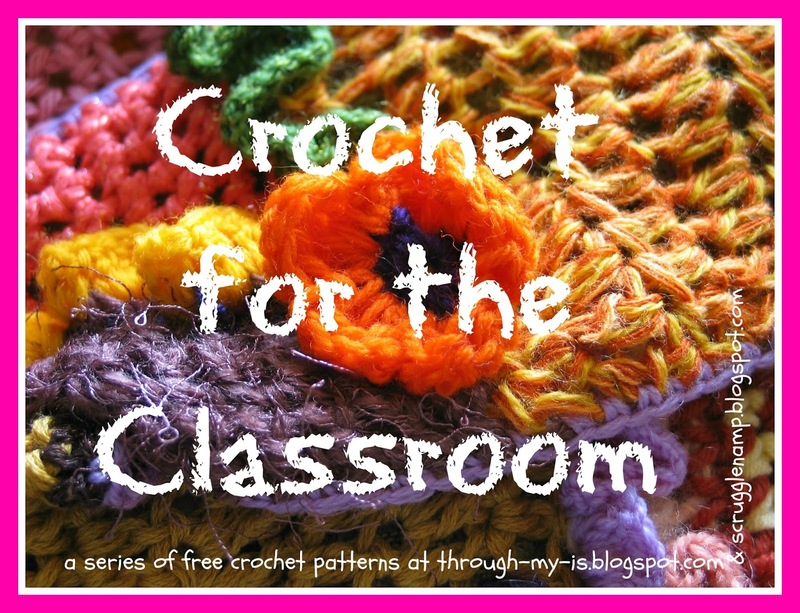 I promised that I would be more active on this blog and to prove it, I am posting this series of crochet items that I have made for the classroom using free patterns found on the internet. 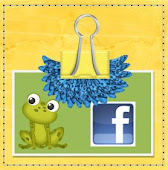 Each week I am going to feature another free pattern and show you how it will be used in the classroom. 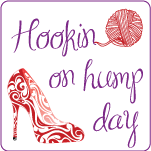 If you don't know how to crochet, grab a crochet hook and some yarn, and look up some Youtube videos! All of the patterns I have used thus far have been fairly easy and I know that you will learn how to crochet like a pro in no time! 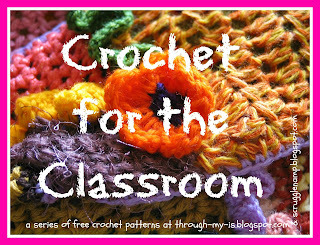 Check back next week for another free pattern and idea for your classroom! Since Summer is in full swing and quickly winding down, I am finally getting some energy to start really preparing for next school year. As a Head Start teacher, I always say I'm going to be more prepared "next year" but next year always brings surprises and I always seem to find newer and cooler things to add to my classroom throughout the school year. Pout Pout Fish Puppet Show- we didn't have a copy of the book and I just happened to show this video when we were discussing ocean animals and it became one of the most requested videos in our class! Firetruck- Not sure if I should list this as a song or book but it is SO CUTE! I was singing it throughout the day along with the children! It has a catchy tune and is also informative. BBC Hermit Crab- Another gem we found while learning about the ocean. The children loved watching the little crabs running around in the ocean. These just dance clips are great for indoor recess and using during center time for movement. Our class especially liked the Mario one! Nocturnal Animal Noises- our children loved identifying animals by sound! 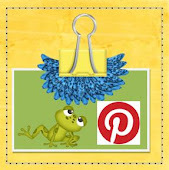 Oh, and I have a preschool Youtube video pinterest board too! Click over and check out all 168 of them! It has been forever since I posted on this blog! I had huge plans to post everything from last school year as it happened and slacked off quite a bit. This year I am beginning with new resolve! I am hoping to have everything planned better so that I can easily share all of the fun stuff we do on this blog! Well, since it is summer, I've started looking around for some materials to use next school year. After contacting about 20 companies, I realized that they are not going to help me so instead I turned to thrift shopping! I wanted to hit yard sales but we found out my dad has cancer and now he's in the hospital so I've been busy helping my mom with all that. This is everything I bought today for $15- My favorite is that viewmaster projector in the back! I can't wait to use it in the classroom! I thought tweety looked like the little bird on the cover! What do you think? I am trying to match all of my theme books with a corresponding plush. I think these turned out pretty good. What do you do to connect literacy with your young students? 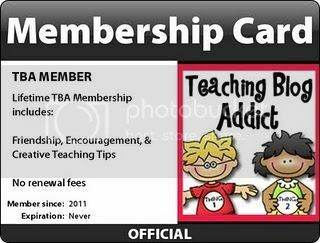 All links in this post are affiliate links to help me afford to buy all these cool toys and activities for my students!